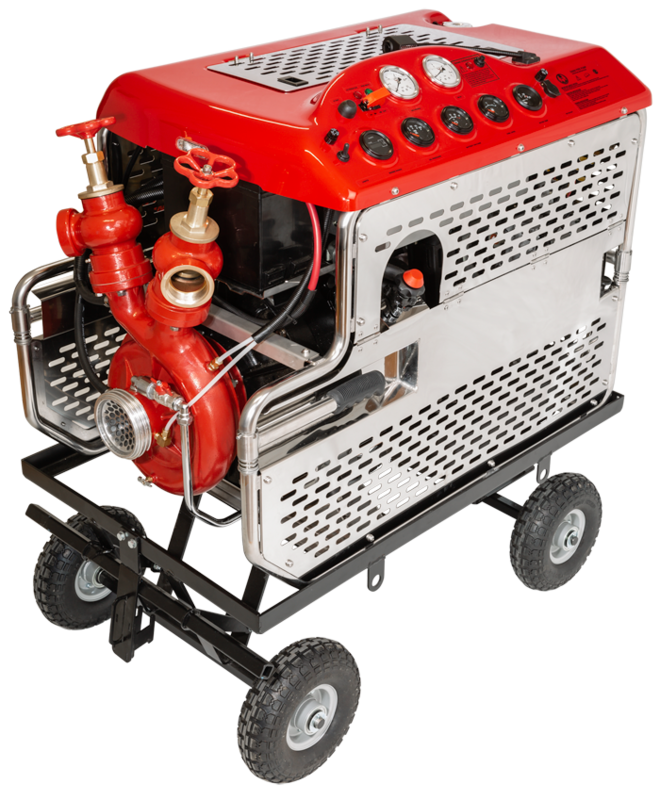 A large diesel portable fire pump that combines the benefit of high pressure fire fighting performance with large water transfer properties. 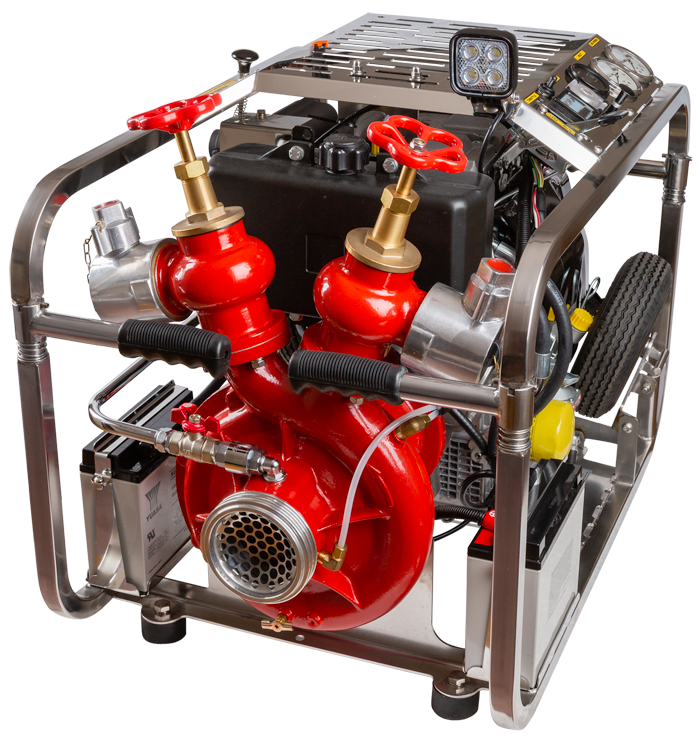 At 2000 litre/minute at 7 bar means a marine fire service can run four 500 litre/minute hand lines effortlessly. 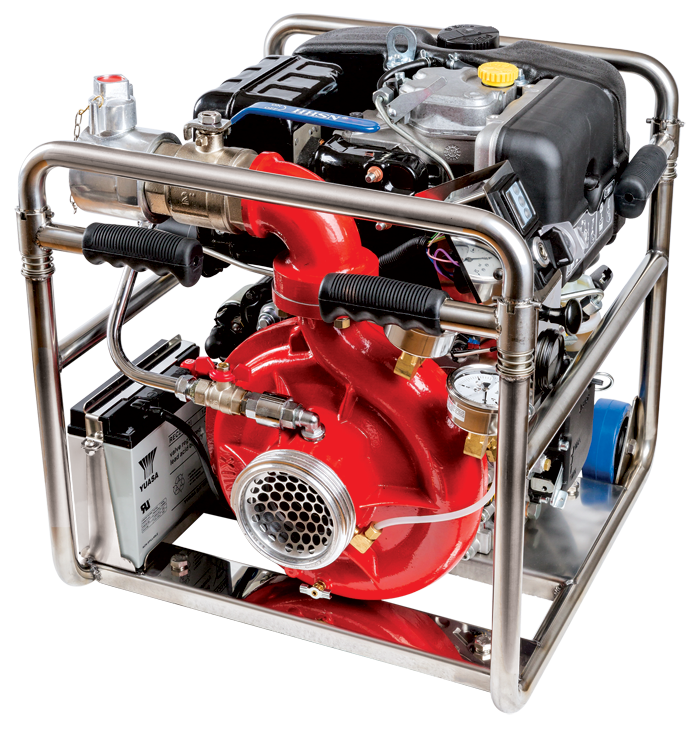 In other salvage relief situations where flow rather than pressure is critical, the D2000 gives exceptional performance delivering over 2500 litres/minute (with flooded suction). When you need big and grunty the D2000 is it. Diesel Pump ??? more here - workhorse?? largest pump??? A rich text element can be used with static or dynamic content. For static content, just drop it into any pagel. Voila! Headings, paragraphs, blockquotes, figures, images, and figure capent using the "When inside of" nested selector system. Controls are easy to operate from one location and include Engine On/Start/Off Switch, 12V Inlet/Outlet Socket, Flexible Halogen Night Light, Throttle Control, Fuel Gauge, Oil Pressure Gauge, Hours Run Meter, Volt Meter, Engine Temperature, Discharge Presure Gauge, Compound Gauge, Push Button Start, Over-heat Over-ride Switch. Fast and effective priming is provided by the simple to operate exhaust eject primer. 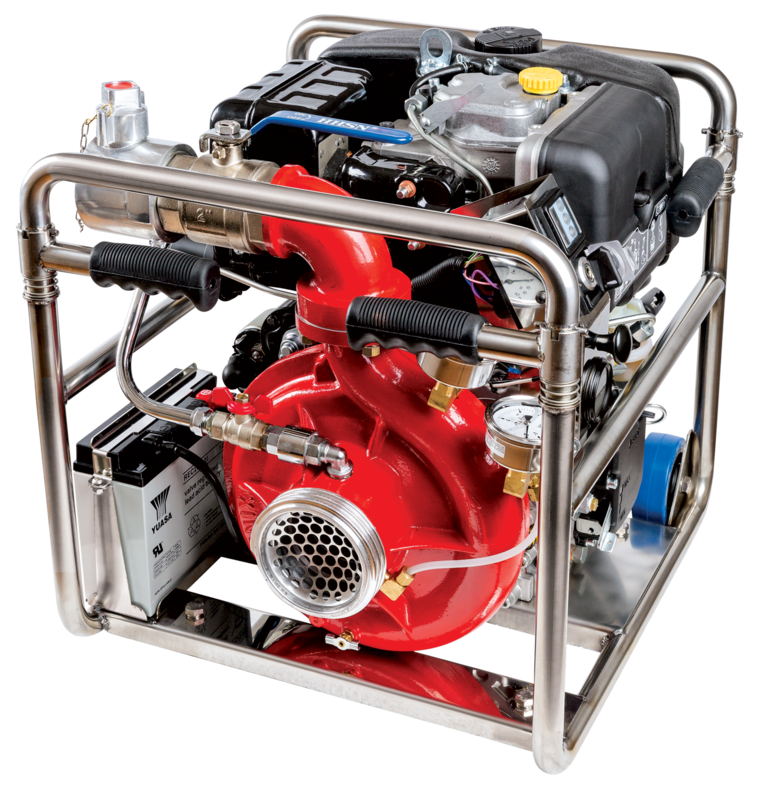 The pump will prime 3 metres in 20 seconds and to a maximum of 7 metres. Engine Model 4JB1 (4 cylinder inline diesel, OHV, Direct injection, Naturally aspirated, water-cooled through heat exchanger, compression ratio 18.2:1, 57kW @ 3600 RPM, minimum fuel consumption at full load 230g/kWh. Stainless steel is used on all fabricated parts. Spring loaded handles allow for multiple carrying positions. Marine Grade Aluminium Alloy pump end. 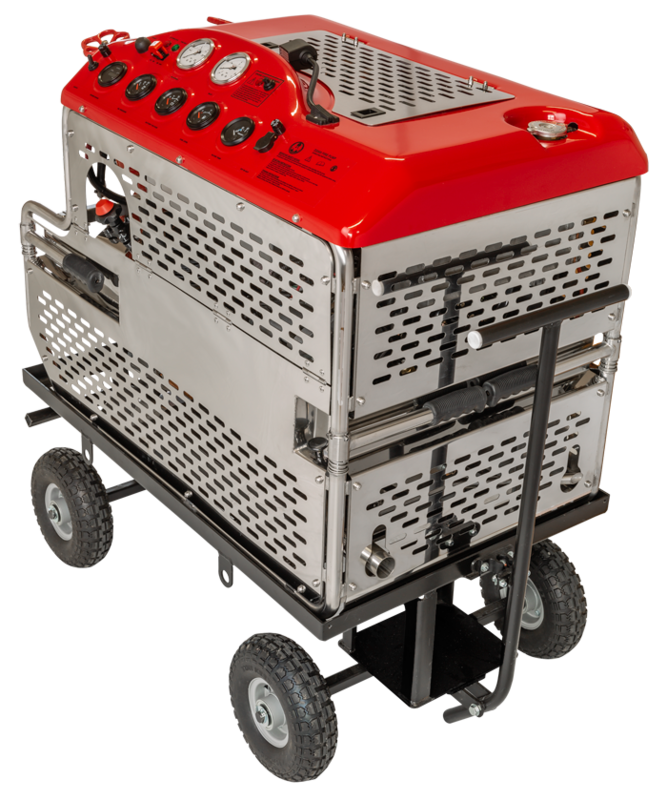 Optional extras include a detachable wheel set that is manufactured from corrosion resistant material. Marine Grade Aluminium Alloy CC601 Fully Enclosed. Long Wearing Acetyl, Economical to replace. Focus on the job, not on your equipment. 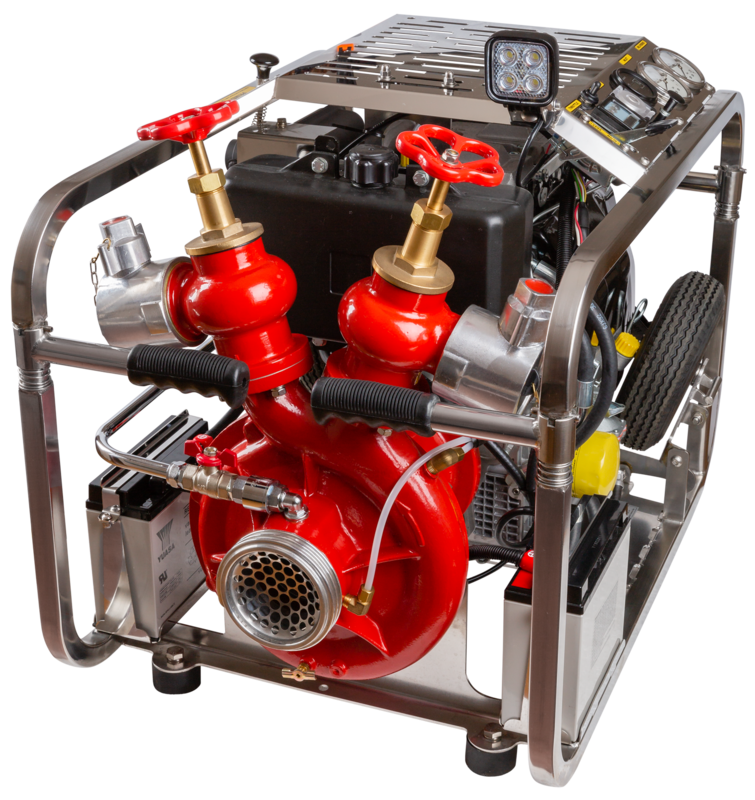 Phoenix Firepump is technology you simply won’t need to worry about. This is the way technology should be. • Twin 50mm Outlets with ball valve which will allow for a varity of coupling types. • A large fuel tank capacity of 16.0 litres ensures the fuel supply will last for at least 1 hour at maximum throttle opening and load. • Electric starting is standard with a 12 - volt negative earth system. A 55 amp alternator provides reliable power for charging and lighting.Optional extras include a detachable wheel set. Twin swivel screw down globe valves. 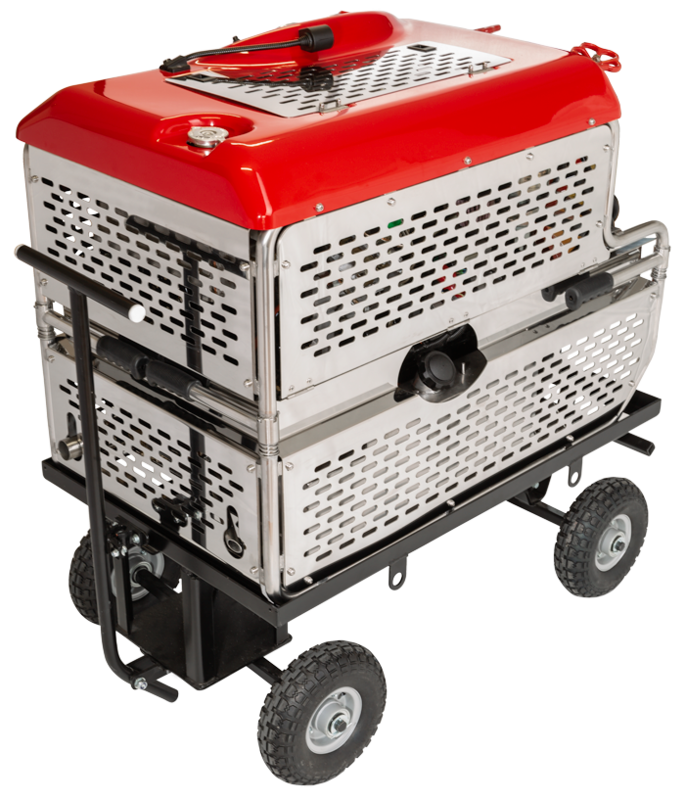 2000 litre/minute at 7 bar means a marine fire service can run four 500 litre/minute hand line effortlessly.